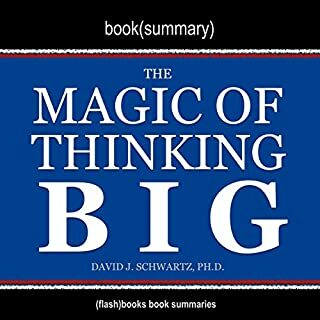 The Magic of Thinking Big gives you useful methods, not empty promises. Dr. Schwartz presents a carefully designed program for getting the most out of your job, your marriage and family life, and your community. 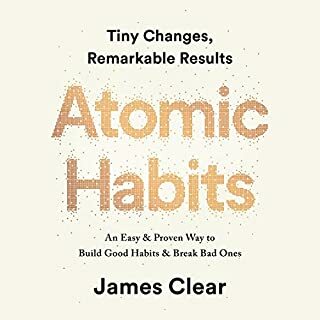 He proves that you don't need to be an intellectual or have innate talent to attain great success and satisfaction - but you do need to learn and understand the habit of thinking and behaving in ways that will get you there. This book gives you those secrets! Learn About the Slight Edge That Will Bring Success and Happiness into Your Life in a Fraction of the Time It Takes to Read the Actual Book! 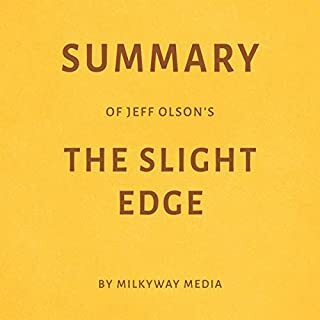 In the first chapter, Jeff Olson introduces his readers to the idea that every single person on this planet has the potential to turn either into a poor, unsuccessful beach bum or into a successful entrepreneur with a huge balance in his bank account. He tells his own story - about how he went from failure to success to another failure, how he slowly learned that failure and success both happen for the same reason, and that this one single reason can work either for or against you, depending on how you use it. Listeners are motivated by listening on because they would like to know more about the idea that people have complete control over the directions their lives are taking. 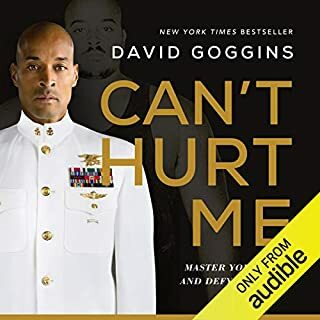 I was looking for the Slight Edge on audible and not able to find it. I prefer to listen to a book then sit and read it :). 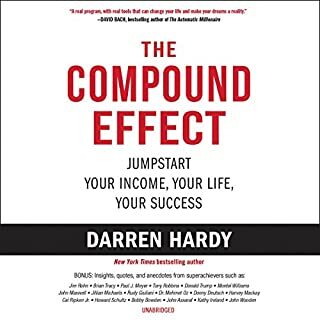 I came across this summary on audible and read some of the reviews and decided to purchase. After listening to this summary I will most likely purchase the book to read. This summary in my opinion gives enough information to get the idea of the book and how it is laid out. I am glad that Jeff Olsen does not promise anything but holds you accountable to make it happen for yourself. It is not about instant gratification and if it was, that gratification would only last a moment. If we work at the things we want we will appreciate it so much more in the end. living the work! loved listening to it!!! every word he speaks of is so on point and easy to understand I can listen to it over and over again!!! listened enroute to a meeting that book was going to be discussed. In 30 minutes i found everything i needed to know not to buy book. i am now a summary station fan. Wish I'd thought up this concept. I like how this version gives me the cut and dry bare bones outline of the fleshed out book. I'm totally into summary and analysis reports now! Whether it's listening to a summary while I wait for a book to arrive in the mail, or instead of reading or listening to an entire book.. I think this is the way to go! 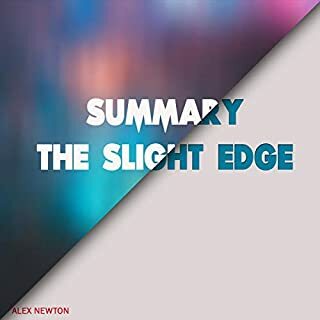 I liked the summary's pace and conceptual delivery. Many great takeaways here! Job well done! Great way to get some information about the book. I will get the hardback copy for my bookshelf. Get what you pay for I suppose. Was the quickest of overview of each chapter. Not much information to receive. I would recommend buying the book or audio version instead. 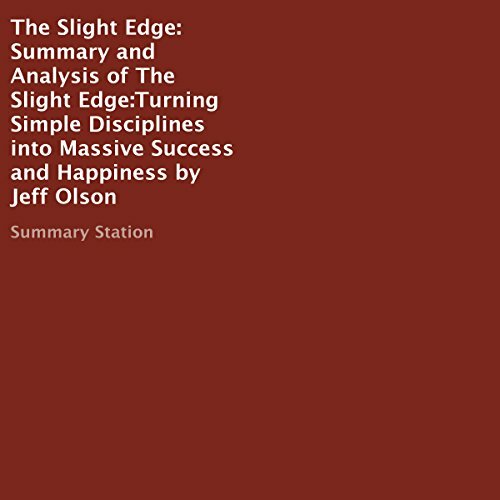 Would you consider the audio edition of Summary and Analysis of The Slight Edge: Turning Simple Disciplines into Massive Success and Happiness by Jeff Olson to be better than the print version? I just read the book so having an audio to summarise was just going to help me cement my understanding and learning. A straightforward summary! The central message is clear. Take small steps towards the well written down goal. awesome! loved it. so inspiring! so motivating! will recommended. I have the slight edge in my life!! summary station provides best way to read self help books- short concise and to the point. I don't have affiliations and i will use them more. Thought i was going to listen to the real book. ooops good summary of key points but lacks the inspiration and motivation of the real thing. would consider listening to other summaries in the future. Straightforward and to the point, The Slight Edge is worth taking the time to read, absorb and implement.